Whether eaten as an ice dream cookie sandwich, a bowl of ice dream with cookies on the side or as separate units these new recipes I developed with my niece received a big thumbs up last night. Combine cocoa and sugar in a pot, add 1/4 cup of coconut milk and heat slowly while mixing with a wooden spoon until homogenized. Add the remaining 1 1/4 cup coconut milk and coffee, heat and continue to stir until well combined. Remove from heat, add vanilla, stir and chill. Freeze in an ice cream maker -OR- you can place in the freezer for 20 minutes, remove from freezer and mix with an electric mixer, return to freezer for 20 minutes, remove from freezer and mix with an electric mixer and continue like this until the mixture becomes light, airy and semi frozen like soft serve ice cream. 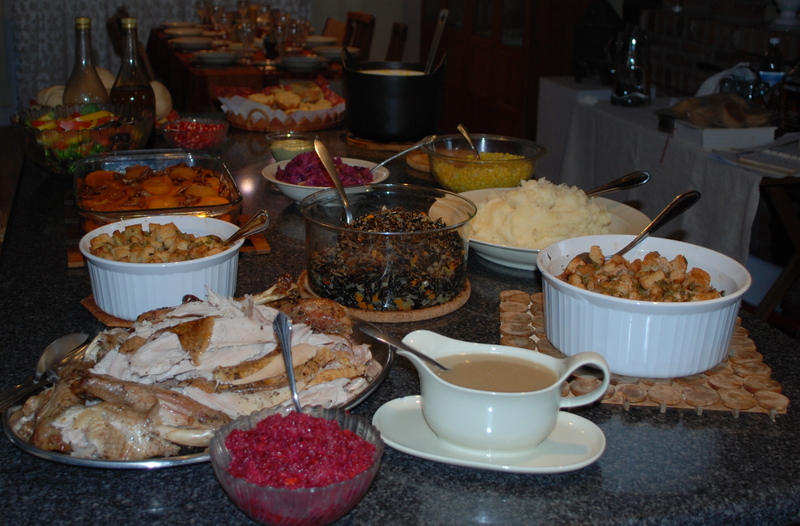 Enjoy like this or pour/scrape into a plastic container with a tight fitting lid and place in freezer to freeze completely. Preheat oven to 375. Cream together butter, sugars and cocoa powder. Beat in the egg and vanilla extract, scraping down sides of bowl as needed. Combine flour and baking soda, add to the butter mixture and mix well. Stir in the oats. 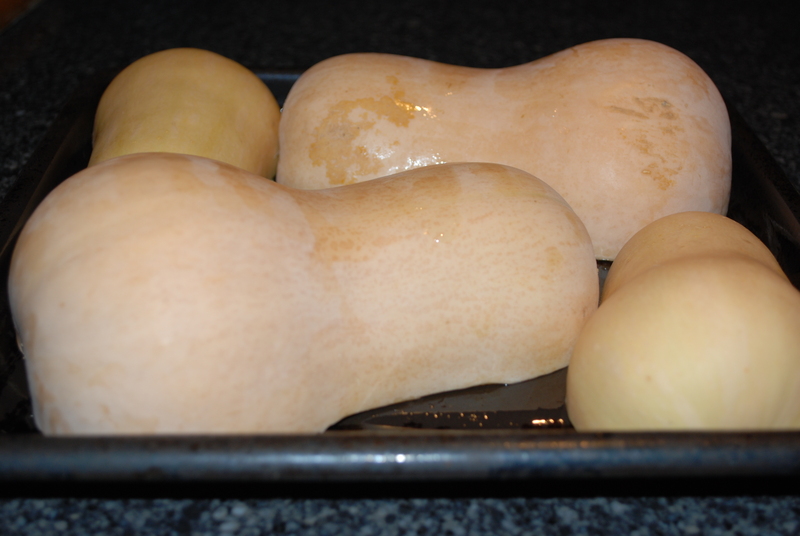 Plop onto an un-greased cookie sheet or parchment paper lined cookie sheet by rounded tablespoonfuls. *if making cookies for ice cream sandwiches flatten each “plop” a bit so the cookies will spread out during baking* Bake 9-11 minutes, cool for 1 minute on the cookie sheet then remove to cool on a wire rack. This entry was posted in in the kitchen and tagged chocolate, cocoa, coconut, coffee, cookie, cookies, cream, dream, from, home made, homemade, ice, ice cream, milk, mocha, oatmeal, sandwich, scratch, vegan on July 15, 2014 by lenapietri. 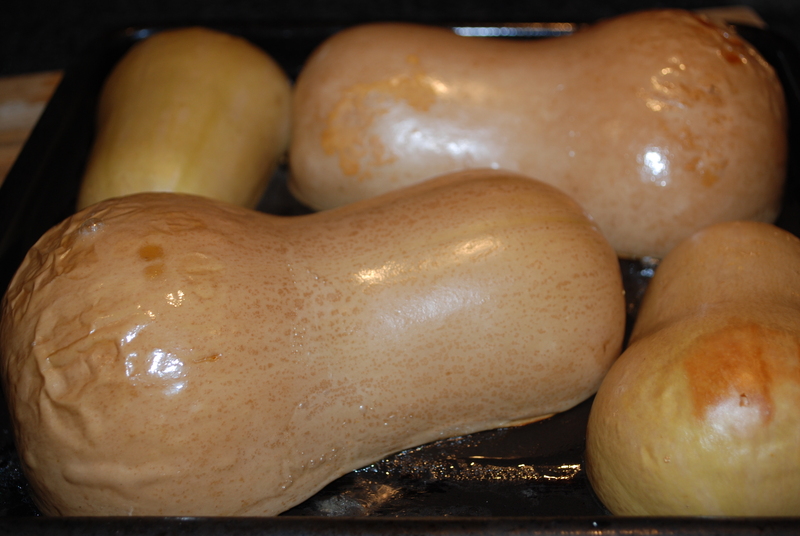 Preheat oven to 375° F. Oil a baking sheet/pan. 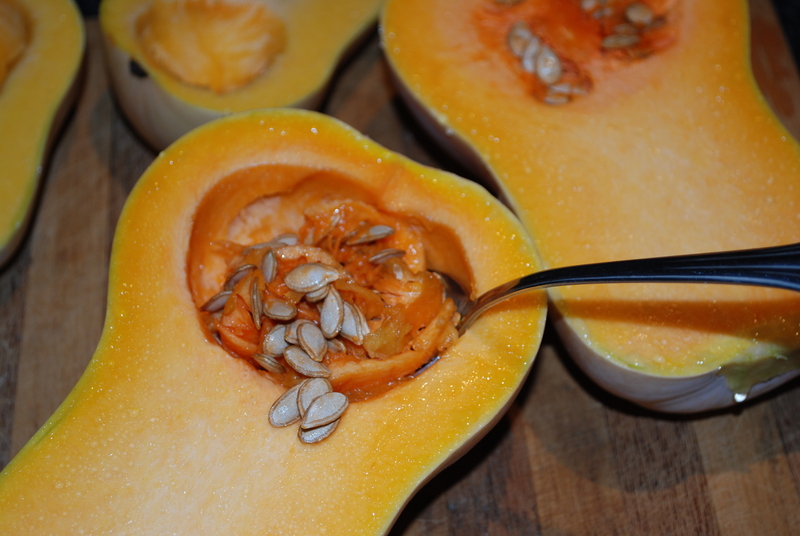 Prepare butternut squash, place cut side down on a prepared baking sheet and bake till soft, about 45 minutes. Meanwhile sauté the onions with salt on medium low heat until the onions are translucent and soft. 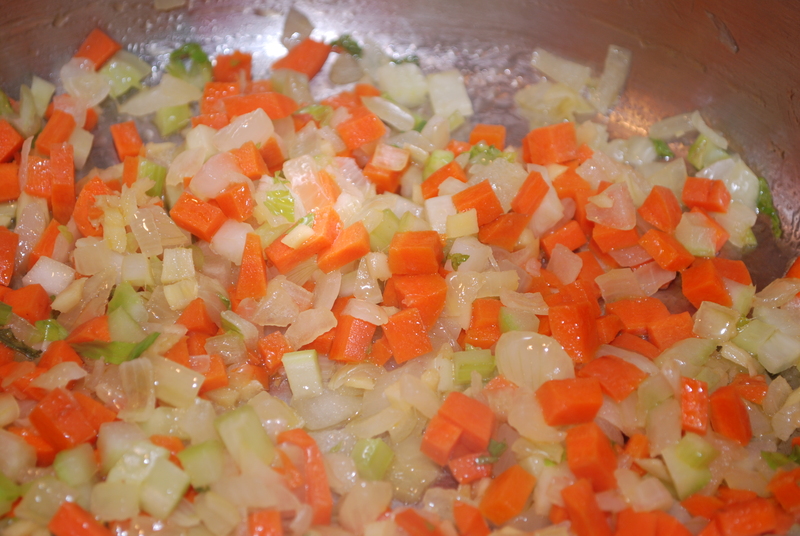 Add the ginger, carrots and celery, cover and sauté for 10 more minutes on medium low heat. 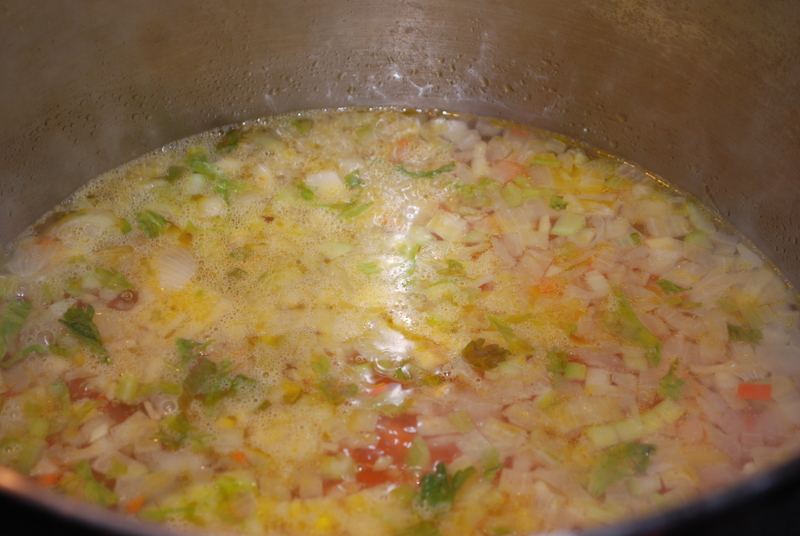 Add 5 cups of water and simmer. When the baked butternut squash has cooled enough to handle scrape out the squash from the skins and add it to the broth. Puree the ingredients with a handheld blender and reheat. Add more water as needed for the consistency and salt and white pepper to taste. 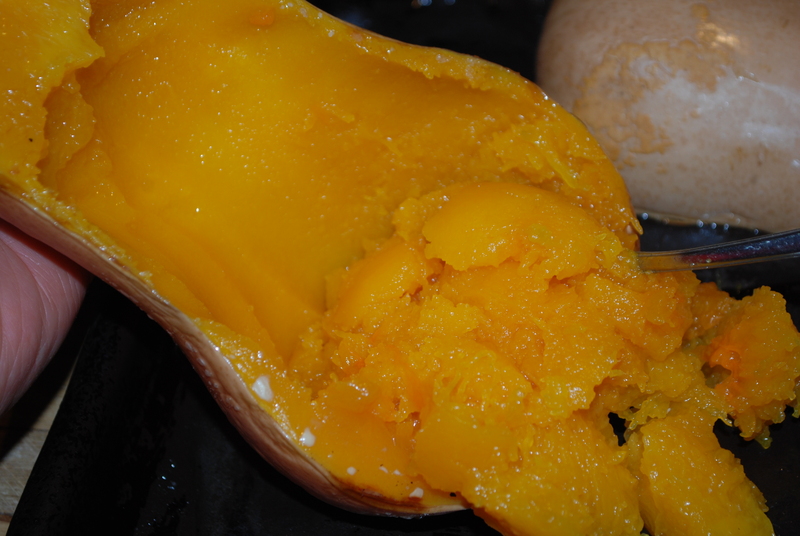 You can also add all of the ingredients to a countertop blender and puree till creamy then return to the pot and reheat. Garnish with nutmeg if desired. 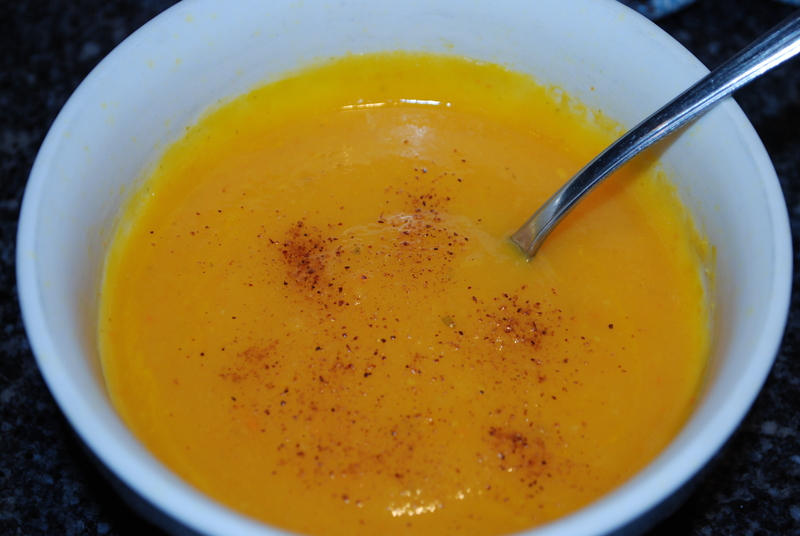 This entry was posted in in the kitchen and tagged Butternut squash, cream, creamy, easy, ginger, simple, soup, vegan on November 18, 2013 by lenapietri. 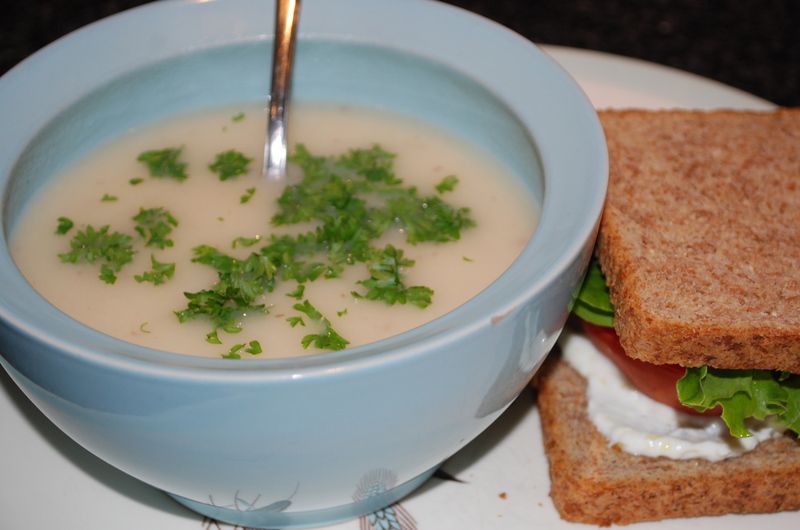 My mother used to make a cream of celeriac soup that, according to my father, was famous among their friends. On a visit to my father’s he was inspired to make this soup that he had no recipe for. He found a Hungarian recipe (what would we do without the world wide web?) that we prepared. Here is my version that is both easier and healthier (no butter or milk/cream). 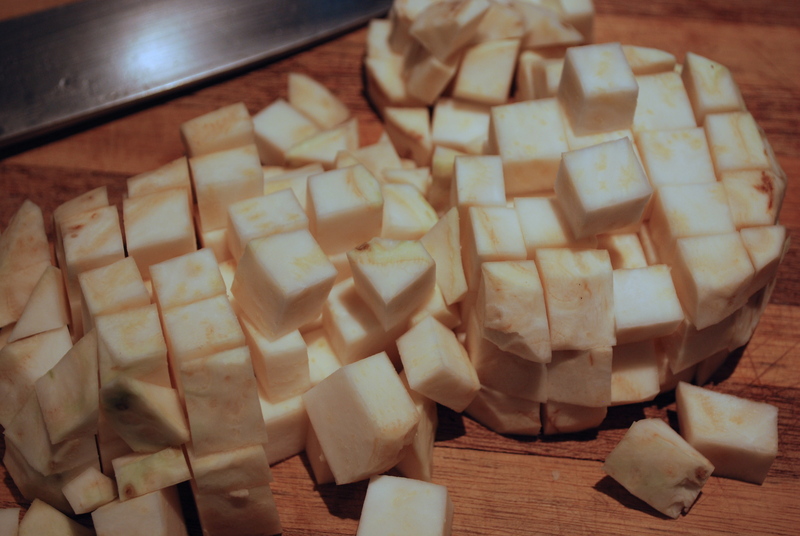 Wash and peal the celeriac root and cut into ½ inch cubes. Heat a large skillet over medium low heat and gently sauté celeriac in 1 tablespoon canola oil with lid on until it becomes slightly golden. Meanwhile, in a 3 or 4 quart soup pot over medium low heat sauté the onions and salt in 1 tablespoon canola oil with lid on until they become translucent. 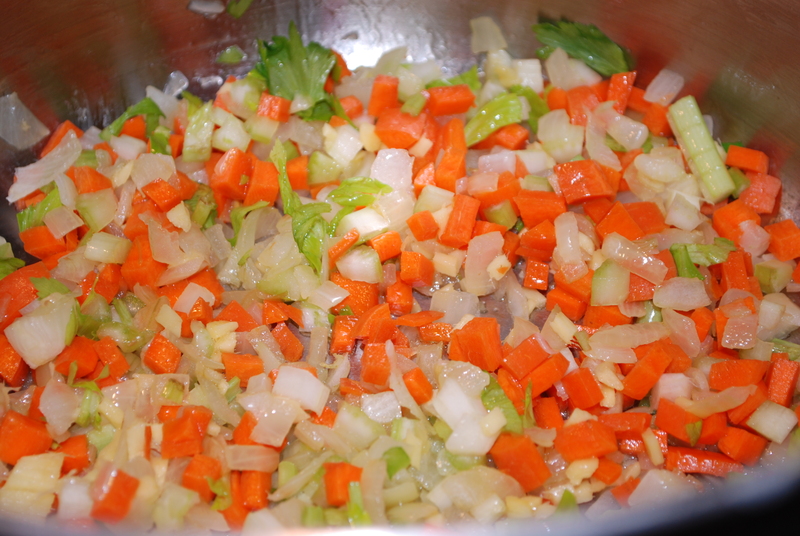 Add the water to the onions and bring to a boil. 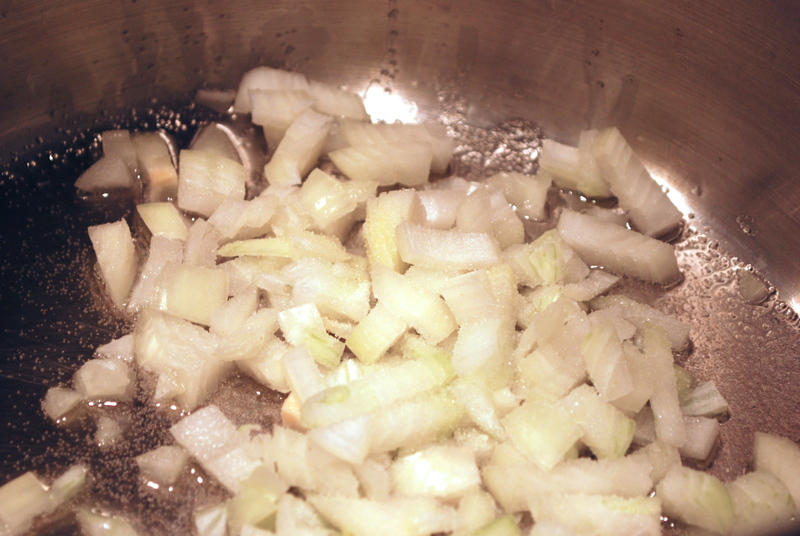 Add the celeriac cubes to the onion and water, return to boiling, reduce heat and simmer until the celeriac cubes are almost tender, about 10 minutes. (*Note the freshly harvested celeriac root from Hall’s Farm was tender after sauteing so I simply omitted the “simmer for 10 minutes till tender” step.) Add the potatoes and continue to simmer for 20 more minutes. Replenish water if necessary. 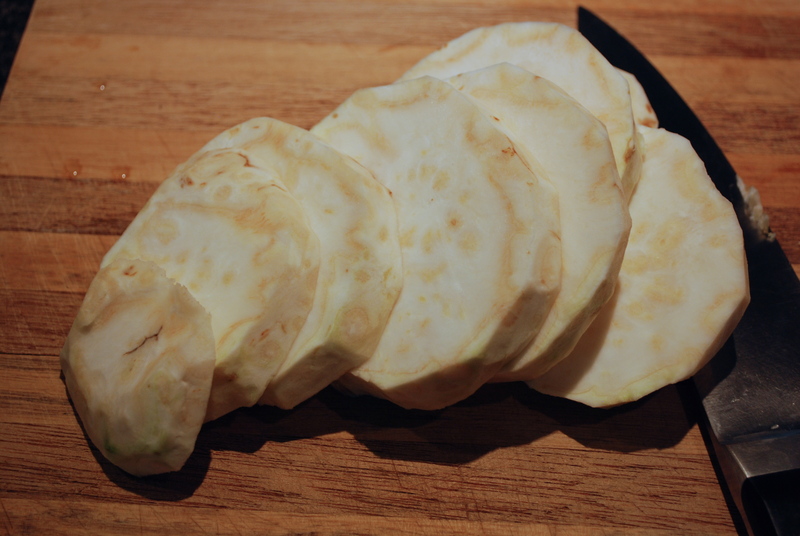 Puree the celeriac, onion and potatoes with an emersion blender, in a blender or by pressing through a strainer/sieve. 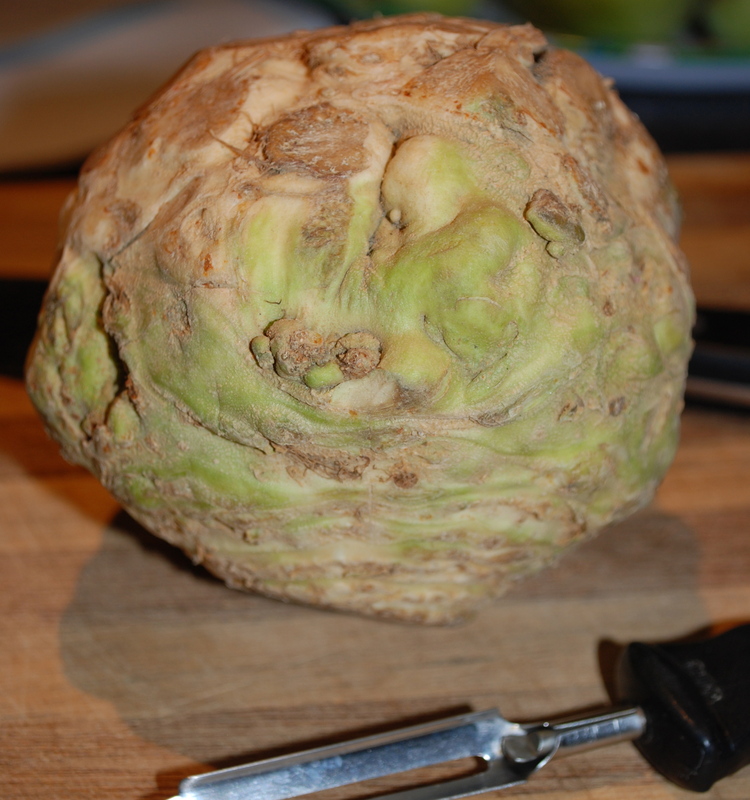 If the blender is plastic or straining through a sieve, allow the celeriac and water to cool slightly. 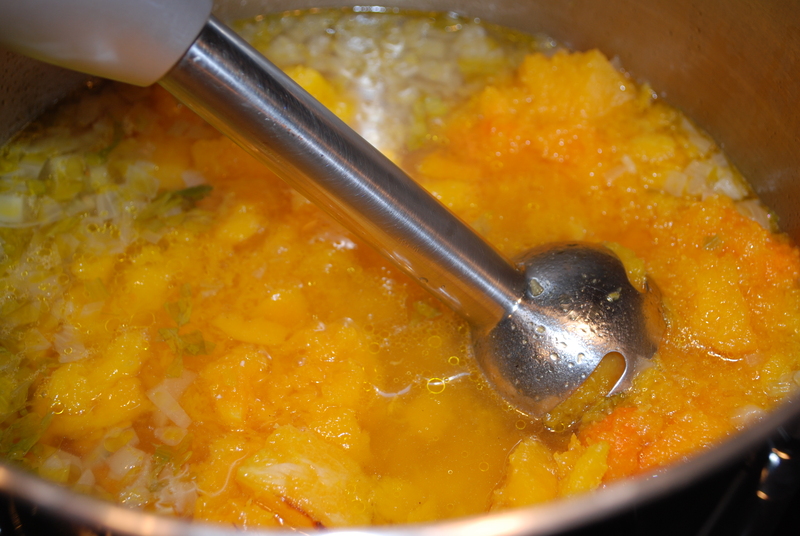 Return the puree to the pot and reheat slowly on the stove. 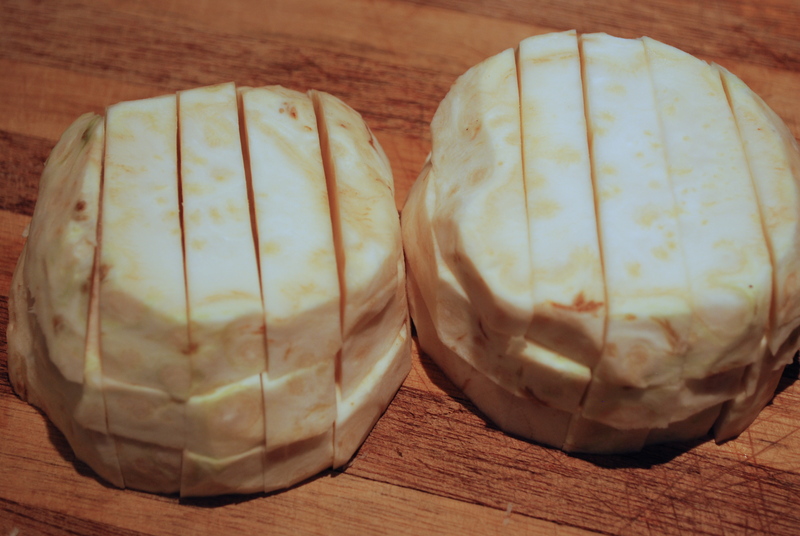 Serve as is or with some chopped parsley to garnish. I found that fresh ground black pepper was tasty so try it as the recipe states and add pepper as needed. In Hungary this type of soup is served with croutons but I made a sandwich with labneh left over from the weekend, tomato and lettuce for Xav while I had some gluten free chips in lieu of the crackers I was craving. 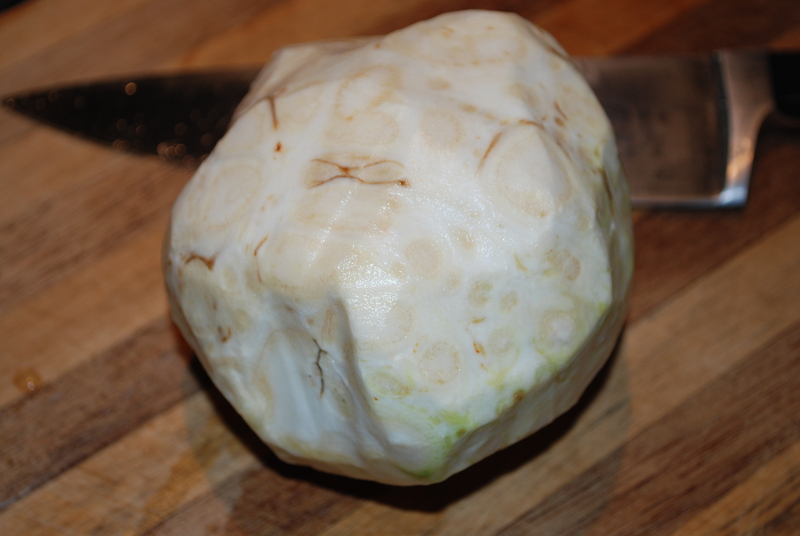 This entry was posted in in the garden and tagged celeriac, cream, cream of, recipe, root, soup, vegan, vegetarian on October 9, 2013 by lenapietri.